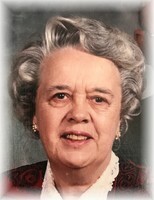 Provide comfort for the family of Thelma Busse with a meaningful gesture of sympathy. To plant a memorial tree in honor of Thelma Jean Busse (Archer), please visit our Heartfelt Sympathies Store. Sending my deepest sympathy to the Busse family.